At February’s annual Toy Fair in New York City, a few trends seemed to stand up a bit taller from among a very crowded category of fun and educational play. One of the most talked about trends this year is inspired by the “maker” category, toys that kids are encouraged to assemble themselves. Building toys have actually come a long way since Lincoln Logs and Erector Sets. These days kids can build machines that are functional long after the assembly, like the Klutz Maker Lab Gumball Machine that kids can make themselves. 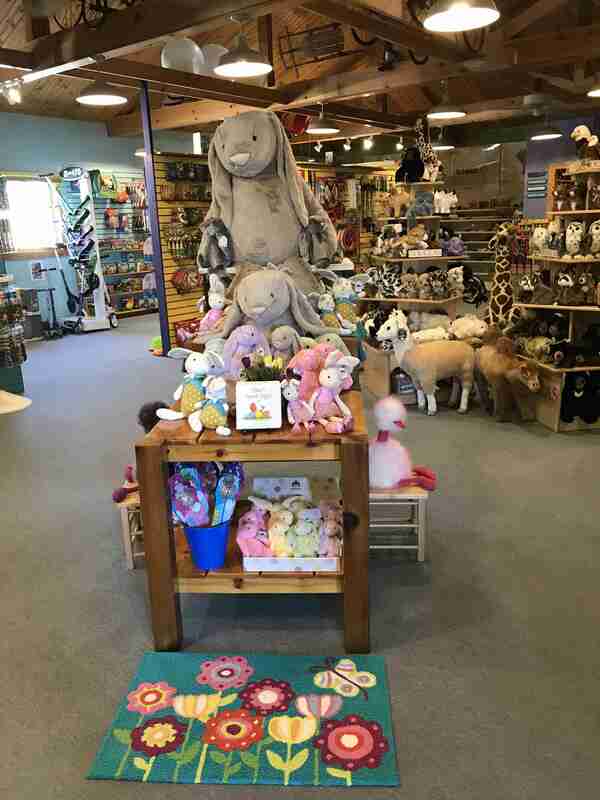 A display of rabbit toys creates a spring vibe at Lark Toys. It’s never easy for an independent retailer to compete with e-tailers and chains, but the store’s inventory includes more than 4,000 toys from more than 200 vendors. Following the maker trend at this year’s Toy Fair, the award-winning Droid Inventor Kit by littleBits won Toy of the Year. The kit, which allows kids to create their own custom droid unit, seems to follow a path cultivated by toys that enrich learning and problem solving. “We strive to empower kids to be creators and inventors by fostering STEAM skills,” explained Ayah Bdeir, littleBits founder and CEO, in a press statement. Another trend that’s being touted as a game changer in the toy market: teaching toys, specifically toys that teach empathy. Lego released its first ever DUPLO My First Emotion Set that contains pieces that can be mixed and matched to show facial expressions. 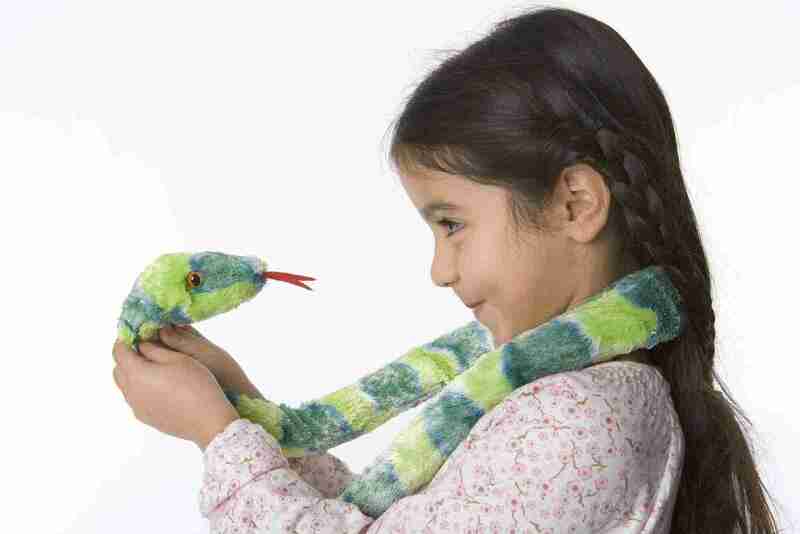 The set is designed to allow toddlers to recognize emotions as they play and create. Many of the toy makers showcased at the fair followed suit with toys that actually teach and embrace lessons about sharing and caring. Overall, with the toy industry estimated to be worth a whopping $27 billion dollars, according to Steven Pasierb, president and CEO of the Toy Association, it’s not surprising that so many retailers are poised to see what trends come out on top this year – everything from high-tech STEM toys to beloved reboots. At Top Ten Toys, an independently owned and operated retailer in Seattle, interactive toys have been driving sales lately. According to the shop’s Buyer, Kristi Thomas, toys that allow kids to express themselves are among the shop’s top sellers. “Our current best-sellers are Crazy Aaron’s Thinking Putty, Legos, Magna Tiles, Catan, Snap Circuits and Rubik’s Cube,” said Thomas, noting that sometimes toys from decades ago, like Rubik’s Cube, make a comeback for the next generation. It’s not surprising if you consider that yesterday’s Rubik’s kids are today’s parents – and they often want to share the fun they had when they were young with their own children. A toy like Rubik’s also encourages problem solving, something that more parents are interested in introducing at earlier ages for their kids. Legos, meanwhile, seem to be endlessly popular, especially as the company introduces new branded sets that coincide with popular TV shows and films that appeal to kids, like Star Wars. Most retailers are paying attention to these partnerships as both kids and adult collectors seem to be getting on board in record numbers to buy these new sets, whether for play or posterity. Frankly, Star Wars fans are a consumer that you do not want to ignore, especially considering they spend an estimated $5 billion on branded merchandise, including toys, according to research firm Nielsen. And frankly, this might be an underestimation if you consider the push in Star Wars franchising in recent years – and the fact that most of these consumers are not actually kids, but Generation X adults with disposable income. Shops like Top Ten do not underestimate collectors and kids – both consumers drive sales. Top Ten Toys is also known for its huge inventory of more traditional hands-on toys, like classics, wooden toys and educational toys. Since the shop opened in 1987, the goal has always been to provide engaging, non-violent toys for families. As more parents are concerned about social issues like gun violence, an issue that has hit the school community particularly hard in recent years, there’s definitely been a move away from militaristic toys like guns. Instead, the shop has created something they call the “FUNdementals of play” that celebrates independence, cooperation, building of motor skills, visual learning and creative play inspired by language development, logical thought and even learning through music. The inventory seems to truly reflect these values, as customers are likely to find educational and arts-driven toys that inspire learning and kindness rather than competition. There are also special events at Top Ten Toys throughout the week designed to help bring attention to new inventory and bolster community for families in the region, like story time and even crafting events. 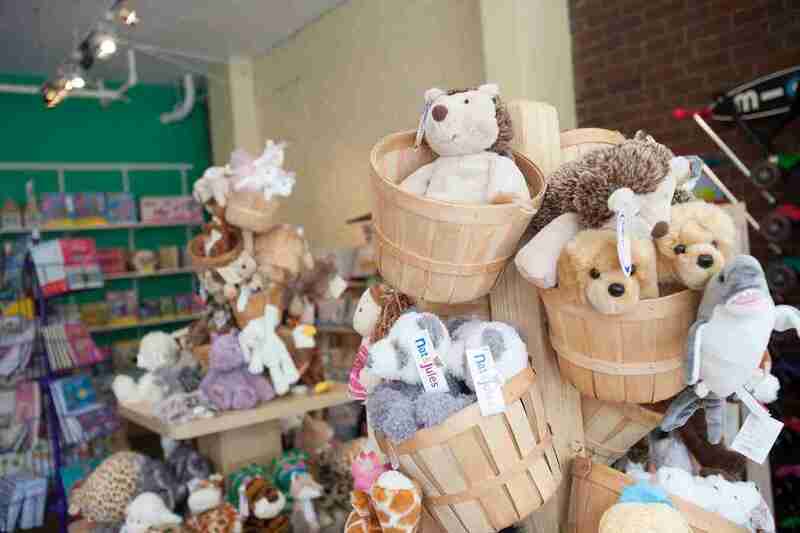 Tucked away on South 11th Street in Philadelphia, Mama May I Shop is an unusual toy store specializing in handmade learning toys that blend special organic design with proven developmental psychological approaches to provide the most enriching play experience around. As the Founder and Principle Designer, Jessica Perkins has been rethinking the toy experience for as long as she can remember. More than two decades ago she worked alongside her mother at her own handmade toy store. Today, she continues the tradition in hopes of blending fun with education in a fresh new way. “Our sensory products are our bestselling toys,” explained Perkins, including anything from the Sensory Bin of the Month Club, as well as the Sensory Color Sorting play set and Sight and Sounds cards. Tapping into her understanding of famed Montessori and Waldorf teaching methods, Perkins believes that children make sense and learn about the world through their experiences in it. That’s what inspired her to open the shop in 2009 in hopes of blending her own artistic expression with an inventory that parents in the region really love. A few examples of toys that can be found in the shop include puzzles, dexterity games and a nature-inspired scavenger hunt. 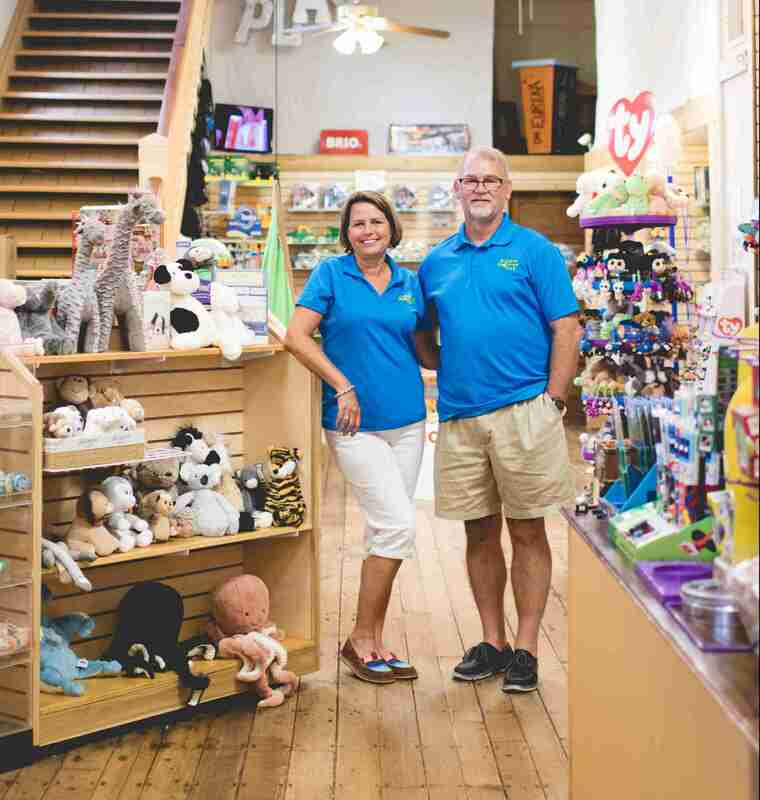 Customers can also stop in at the brick and mortar location and online according to a child’s age, with toys designed for babies to big kids up to about 8 years old. Justin Adams, sales associate, Top Ten Toys, Seattle, Wash., photographed with a Crazy Aaron’s Thinking Putty display. The toy, along with Legos, Magna Tiles, Catans, Snap Circuits and Rubik’s Cubes, are the stop’s current best-sellers, the store’s buyer said. Thanks to a stylishly curated inventory, longtime customers at Ali’s Wagon in Philly can count on finding great gifts for kids and adults alike. According to the shop’s Owner Jessie Menken, the whole idea of Ali’s Wagon grew from the idea of wanting to create a community for new parents in 2007 when the parent owners welcomed their first daughter Lily into the world. They have embraced a push to shop small and local even as more chain stores seem to have crept into the city. But thanks to a creative inventory, like many standout items made locally, Ali’s seems to have staying power even if the owners have had to reconfigure the space this year, most notably closing the second store and eliminating the parenting center to make more room for merchandise at the flagship location near the Art Museum. 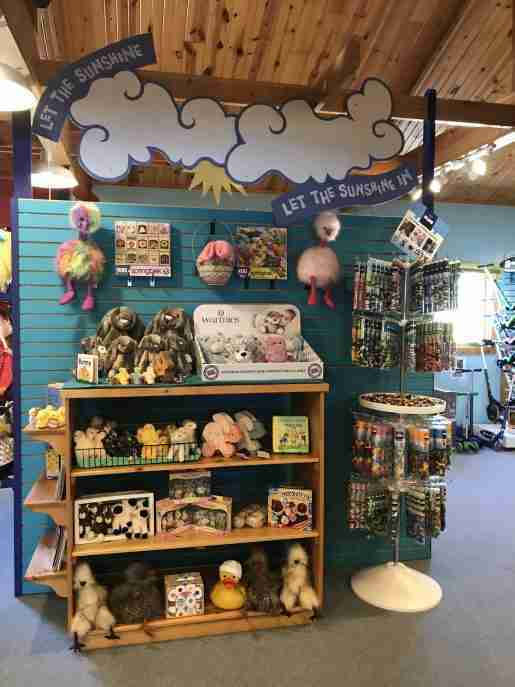 Menken has assured longtime customers on her shop’s blog that best-selling items will not go away, but rather, the new incarnation of the retail experience has an even more eclectic array of items with a lot more space to show them off in. The shop was closed for a few days for remodeling and reinvention in January. Some of the most interesting children’s items being sold at the shop include Philly-themed tees, fashionable accessories, games and books. The shop also sells Melissa and Doug’s secret decoder deluxe activity set, Crazy Aaron’s Thinking Putty and Simon & Schuster’s Keeper of the Lost Cities book series that has a big appeal among pre-teens. Teens, meanwhile, really seem to like the enamel pins that say things like “The Future is Female” and feature famous faces like Barack Obama and Supreme Court Justice Ruth Bader Ginsberg. A bright blue wall at Lark Toys accentuates the merchandise. This Kellog, Minn., shop has a heart for nostalgia. Across the river in Collingswood, N.J., customers like to unplug at ExtraordinaryED, a retailer with a thriving community space that specializes in F.U.N. 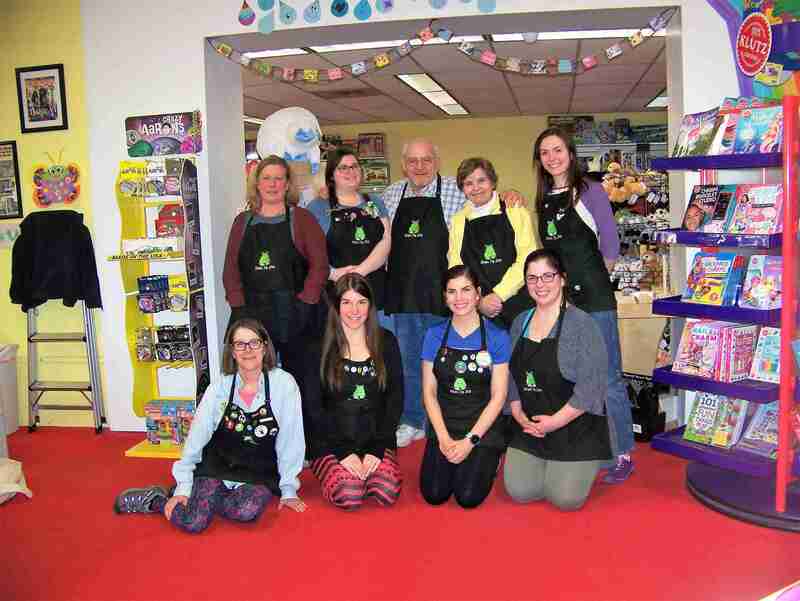 Hundreds of games, puzzles and brainteasers (most of them geared toward tactile play) – along with workshops and classes – help set this shop apart from big chain stores in nearby Cherry Hill. 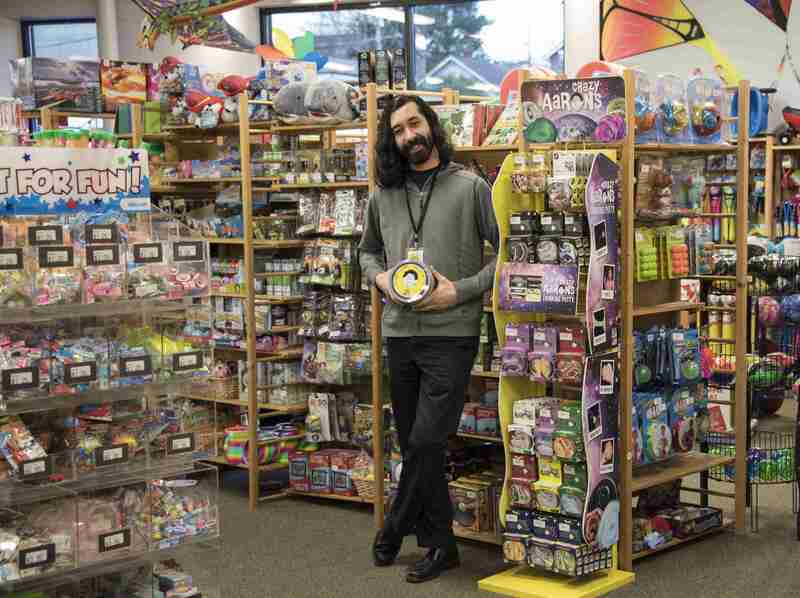 According to M. Henry Van Nostrand, store manager and play professional at ExtraordinaryED, top sellers include Crazy Aaron’s Thinking Putty, Relevant Play’s Mad Matt’r, Suspend by Melissa & Doug and Flux Card games by Looney Labs. “These vary by season,” said Van Nostrand, “because we are always getting new items in stock.” But he says products like Spy Alley games always seem to sell out. Some of the adult party games have also become top sellers, including What Do You Meme and Moral Dilemma. Other noteworthy items being sold tend to come from brands like Fat Brain, Ugly Doll, Mindware, Science Wiz, YoXo and Gigamic. Most of the items encourage learning in fun, highly entertaining ways, like learning about engineering by building one’s very own Automoblox, or even putting together a Wasgij puzzle from start to finish. A lot of the brands carried at the shop are family owned and operated, like Looney Labs, a maker of games for the whole family. This hub for curiosity on busy Haddon Avenue also hosts events that welcome kids of all ages to experiment with new games and puzzles, or learn something new with their peers. The shop’s expert education team works closely with customers to really get to know what people most want in the inventory and how best to create events that encourage fun, play and learning for everyone.